Need a copy editor or developmental editor for your book? Need a book cover or formatting? I can help. 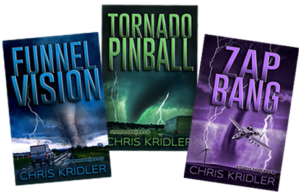 Check out the Storm Seekers Series for storm-chasing adventures with romance, drama, humor and action. Check out the blog for posts on writing, storm chasing and more.